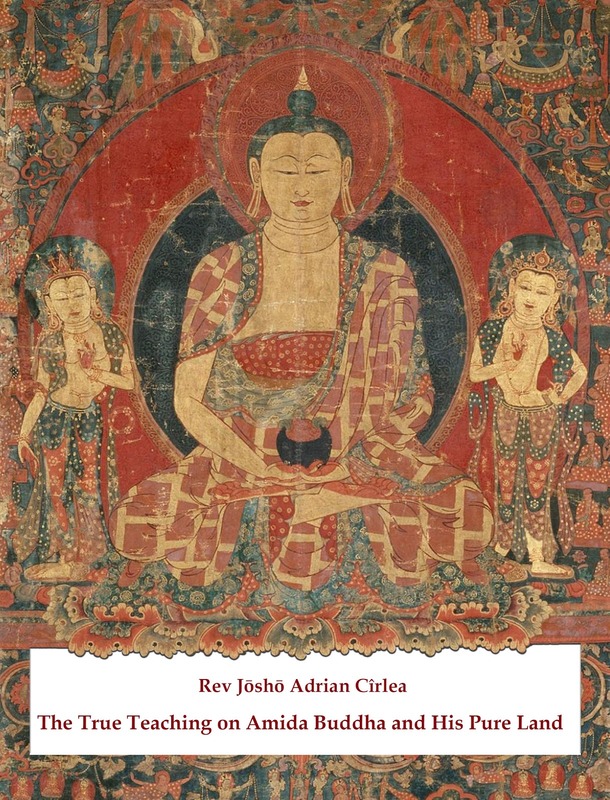 Este libro es un proyecto a largo plazo que comenzó hace unos años como reacción a la aparición en la sangha internacional de algunas opiniones divergentes que amenazan con destruir las posibilidades de que muchas personas escuchen el genuino Dharma de Amida. También es un trabajo en progreso, y el lector puede esperar que vuelva, tarde o temprano, con nuevas ediciones y mejoras. Como todos sabemos, el Dharma es el segundo de los Tres Tesoros (Buda, Dharma y Sangha) en los que todos nos refugiamos cuando nos convertimos en discípulos budistas. 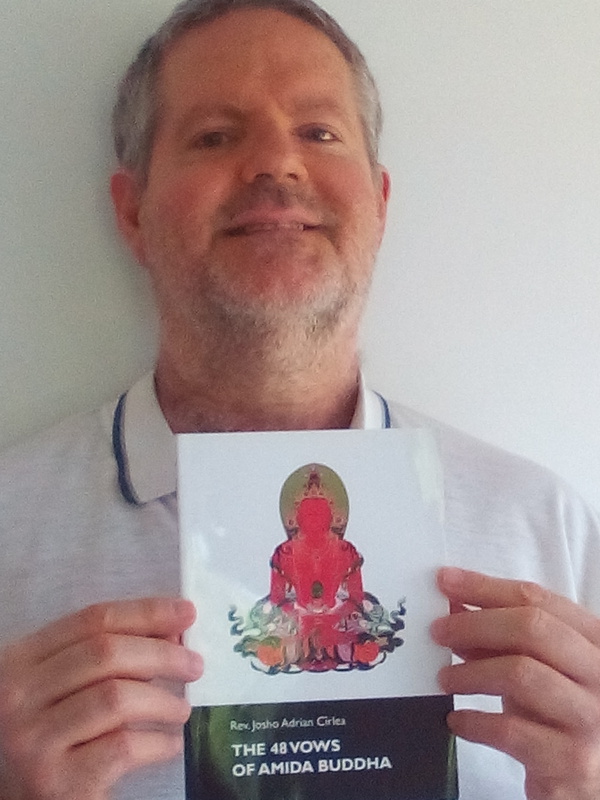 En pocas palabras, el papel de la Sangha es asegurar una transmisión genuina del Dharma como fue enseñado por el Buda Shakyamuni y los Maestros de nuestra tradición (Jodo Shinshu), para que todos podamos recibir fe (shinjin) y alcanzar la Budeidad en la Tierra Pura. Sin tal transmisión adecuada, en realidad no hay Sangha y no hay posibilidad para la liberación del nacimiento y la muerte, es decir, no hay posibilidad para convertirnos a nosotros mismos en budas. 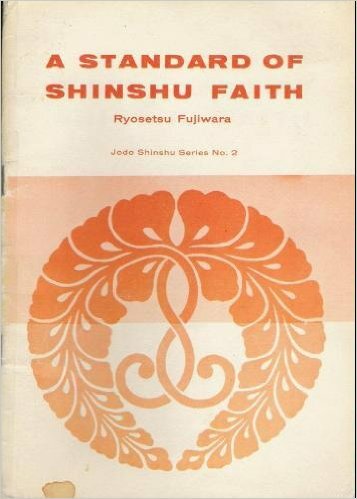 This book is, as the title shows, an attempt to explain the meaning of faith and Nembutsu in accordance with the teaching of our school. Every Buddhist school has a lineage of transmission. 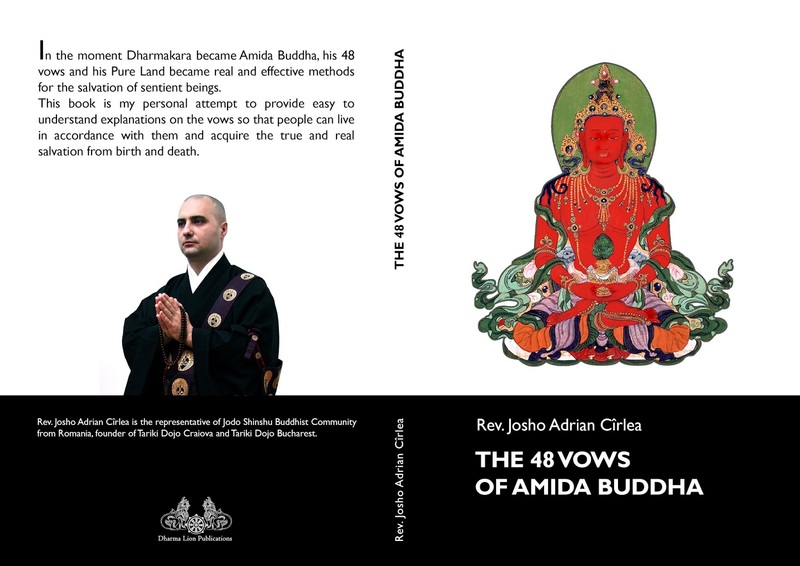 Ours starts with Amida Buddha, then continues with Shakyamuni, the historical Buddha, the seven Masters, Shinran Shonin, Rennyo Shonin and any true teacher that came after them and was loyal to the Primal Vow. 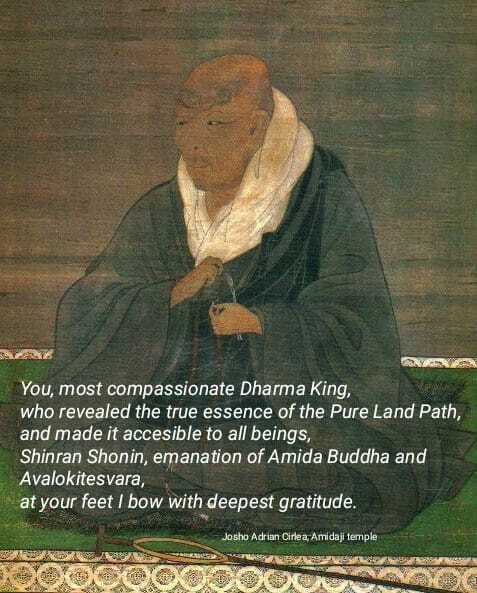 What all the representatives of our lineage said with one voice is that the Primal Vow is true and that it contains everything we need for our attainment of Buddhahood in the Pure Land of Amida. click here to listen the audio version on youtube! 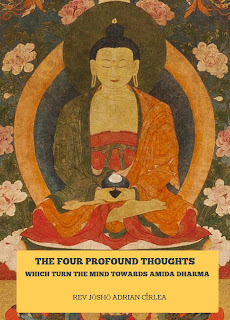 I am happy to share with you the free online edition of my new book, The Four Profound Thoughts Which Turn the Mind Towards Amida Dharma. This is the improved and proofreaded version of the teaching series you probably saw on this website. I am happy to share with you the free online edition of my book, The True Teaching on Amida Buddha and His Pure Land. 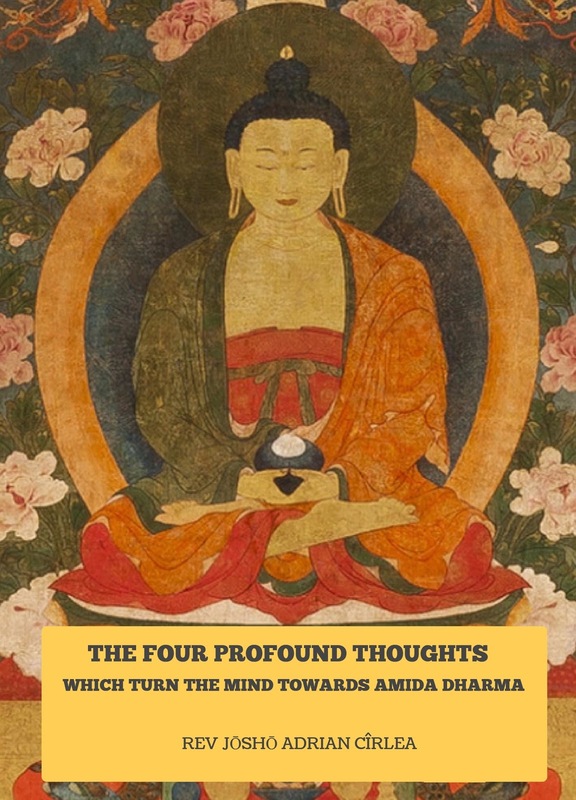 This is a long term project which has begun a few years ago as a reaction to the appearance in the international sangha of some divergent views which threaten to destroy the chances of many people to listen to the genuine Amida Dharma. It is also a work in progress, and the reader can expect that I will come back again, sooner or later, with new editions and improvements. If you have difficulties in downloading it, please write to me at josho_adrian@yahoo.com, and I will send you a copy myself. 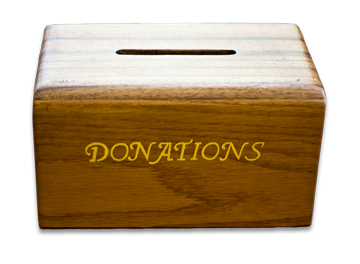 If you can afford, please consider a small DONATION (click here to donate) to support me and my Dharma activities, and especialy the construction of Amidaji Temple (click here to see all articles and photos related with the temple). 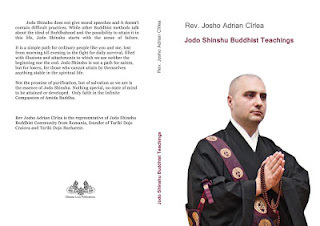 Finaly the printed version of my last book, JODO SHINSHU BUDDHIST TEACHINGS is ready for sale! 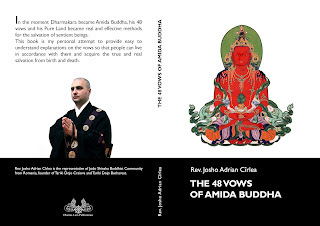 The book contains easy to understand explanations of the major doctrines of Jodo Shinshu Buddhism, questions and answers, and corrections of some modern divergences from the Dharma. 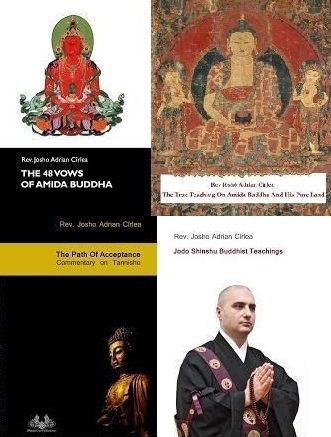 Jodo Shinshu does not give moral speeches and it doesn’t contain difficult practices. 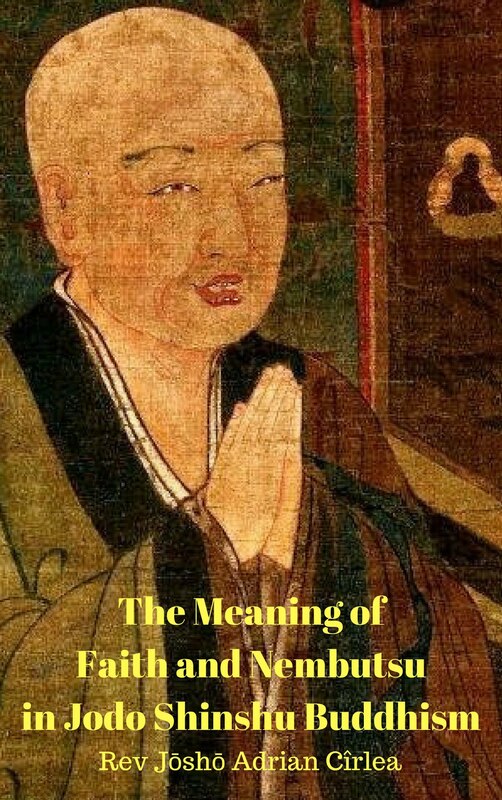 While other Buddhist methods talk about the ideal of Buddhahood and the possibility to attain it in this life, Jodo Shinshu starts with the sense of failure. It is a simple path for ordinary people like you and me, lost from morning till evening in the fight for daily survival, filled with illusions and attachments to which we see neither the beginning nor the end. 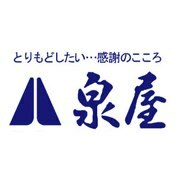 Jodo Shinshu is not a path for saints, but for losers, for those who cannot attain by themselves anything stable in the spiritual life. 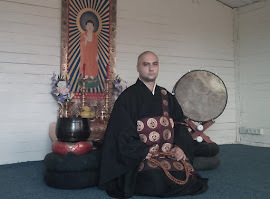 Not the promise of purification, but of salvation as we are is the essence of Jodo Shinshu. Nothing special, no state of mind to be attained or developed. 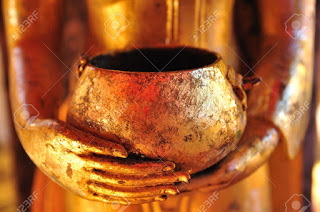 Only faith in the Infinite Compassion of Amida Buddha. 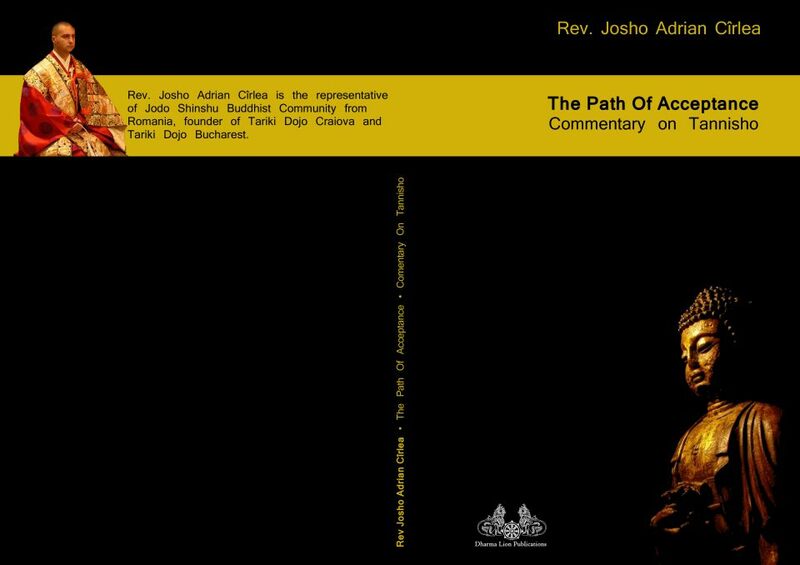 If you have problems downloading this book, please write to me at josho_adrian@yahoo.com and I will send you a pdf copy via e-mail. The printed edition of my book THE PATH OF ACCEPTANCE - COMMENTARY ON TANNISHO is now available for sale here. The free online edition can be downloaded from here.